Most of you know that I work with children everyday. In my first grade classroom I have 25 kids that play together, work together, and learn together. We also like to hug and give each other high fives. While I strive to create this type of kind and caring environment, it does pose some challenges when it comes to cold and flu season. 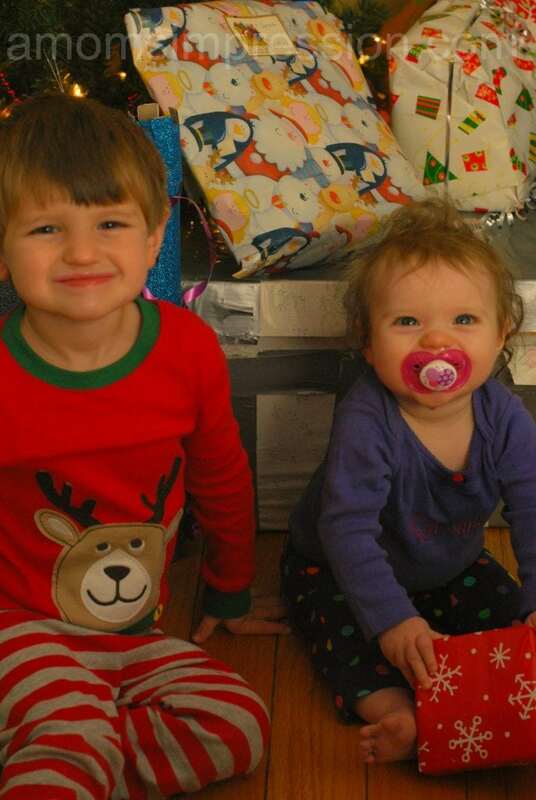 This year has been a particularly difficult one to keep kids healthy, including my own! One of the downfalls of having two parents that work full time outside of the house is that our kids have to spend their days in daycare. While I do feel strongly that my kids are getting the best care that they can possibly get, I still worry about them getting sick. It seems like every day I go to pick up my little girl there is a notice taped to the door saying that there has been a case of pinkeye or strep throat. I guess that is why I didn’t pay too close attention when there was a notice about a case of RSV on the door. Caroline was still sick on Christmas… she still enjoyed herself though! In December my 7 month old daughter contracted the respiratory syncytial virus, or RSV. I knew something was wrong. She had a cold for a long time and she had just gotten over an ear infection. The cold wouldn’t go away and she started not wanting to eat. I brought her back to the doctor. The doctor stuck something up her nose (Caroline didn’t care much for that) and came back to tell me it was RSV. I was scared. I knew what it was. We were one of the lucky ones, a lot of our friends’ babies ended up in the ER for RSV. Fever (especially if it is over 100.4°F in infants under 3 months of age. You can see her runny nose and circles under her eyes. We were one of the lucky ones, it could have been a lot worse. This picture was taken after a week of treatment. While there is no treatment for RSV, my doctor prescribed a liquid albuterol for Caroline (she said this was controversial). Caroline took that for several weeks. It seemed to help with her wheezing. While she is much better, she still catches a cold rather easily. In fact, she has another one right now. The doctor also told me that a lot of kids with RSV will also get an ear infection and that I should keep my eye out for that. So how can we prevent RSV? While it is impossible to follow your child around with a can of Lysol, we can be sure to have our kids wash their hands frequently. Teachers can have hand sanitizer and bottles of anti-bacterial soap available for students. Parents can wash bedding, and disinfect toys and avoid large groups of people if at all possible during RSV season. Visit www.RSVProtection.com and follow #RSVProtection on Twitter for more information. « Peter Pan Diamond Edition on Blu-ray Combo Pack – Never Grow Up! I was always worried, well I still am, about my kids getting sick. I’m glad it wasn’t more serious. Thank you! I am glad it wasn’t as well. What a great service to all Mom’s and Dad’s you are doing with this post. Well done! Can’t believe Caroline is 9 months old. She is so beautiful and so happy! 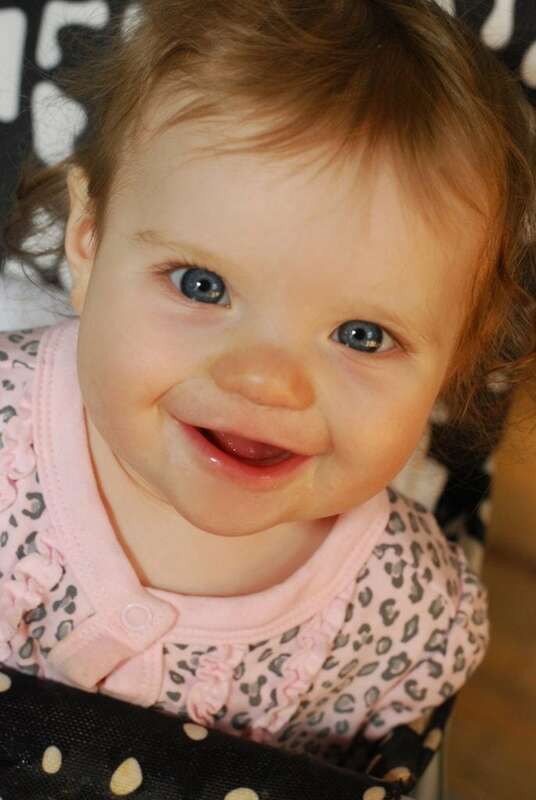 She is a happy baby… even when she is sick! Mason got RSV when he was about a week old. He was born at the end of Jan right in RSV season. It was awful. We were one of the lucky ones too though! No hospital! But we did visit the ER over the weekend when our pedi was closed. Oh, how scary. A week old! I am glad he is okay! I’m so glad she’s ok – RSV is such a scary thing. Thank you Katie. She still has the sniffles but she made it through okay. I’m relieved she was ok too. I’ve lived in fear of RSV since both of my girls were preemies. My niece was born early at 32 weeks and this has been a fear of her parents and her doctors as well. It can be really serious for preemies. 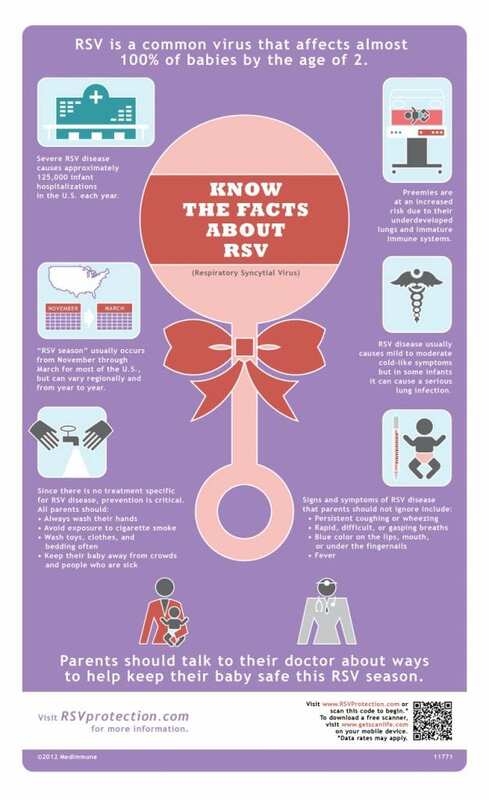 Great information, and glad she was OK.
My son had RSV when he was about 8 months old. It landed us in the hospital for 6 days. It was so very scary. Glad your little lady is doing OK.
It’s so hard when your child is sick, and especially when they’re really little. Nick goes to daycare all the time and is constantly sick.